The Marshall County Clerk's office is committed to providing ballot information for upcoming elections. For basic information on who's running for office, see the candidate list below. Information on candidates will be posted following the close of the candidate filing period, which runs from March 1 - June 1. For more detailed information -- including a sample ballot -- refer to the Kansas Secretary of State's helpful Voter View portal below. 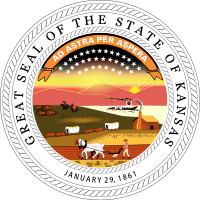 Get ready for Election Day using the Kansas Secretary of State's Voter View portal. To see your sample ballot, first click on Registration Information, enter your details, and then click Search.